Insane Medicine – Inflammation and it’s risks. Inflammation in the body breaks it down over time. Inflammation results from and, in part, causes autoimmune disorders and atherosclerosis with subsequent coronary artery disease and stroke. There are many ways to measure levels of inflammation in the body, but none are sensitive or specific for any particular condition. Likewise, inflammatory markers don’t always point to a specific treatment, but rather the presence of a system that is in trouble and needs thorough evaluation. Inflammatory risk can be determined, in part, by elevations in C-reactive protein (CRP) and fibrinogen, which are both made in the liver as a result of the influence of cytokines such as interleukin-Ib, Interleukin-6 (IL-6), and Tumor necrosis Factor- alpha (TNF). Fibrinogen increases can increase your risk of platelet aggregation (clots) which increase stroke and heart attack risk. There is evidence that DHEA and fish oil can decrease cytokine levels and decrease inflammation. Vitamin K can suppress IL-6 especially and thus decrease inflammatory markers. Nettle leaf extract has been found to suppress TNF-alpha and IL-1b cytokines. Aspirin, green tea, ginko bilboa, garlic, and Vitamin E have been found to decrease platelet aggregation and help blood flow, helping to avoid strokes and heart attacks. Lower fibrinogen levels may decrease the risk of myocardial infarction. Increased vitamin A levels decrease fibrinogen levels. Olive oil and fish have had a similar effect. Niacin (1000 mg a day) and vitamin C (2000 mg a day) will decrease fibrinogen. Bromelain (2000 mg/day) and EPA/DHA from fish oil also have a beneficial impact as well. Elevated homocysteine levels also represent a cardiovascular threat. Elevated homocysteine prevents fibrinogen breakdown by inhibiting tissue plasminogen activator. Ways to diminish homocysteine levels and it’s risk include vitamin B12, vitamin B6, and trimethylglycine (TMG). So elevations of homocysteine will increase your heart attack and stroke risk. Trimethylglycing (TMG) methylates homocysteine and converts it to methionine and s-adenosylmethionine (SAMe). In this process, the body needs folate and vitamin B-12. Homocysteine can also be removed from the body by the transsulfuration pathway using a vitamin B-6 dependent cystathione synthase enzyme. Vitamin B6 is necessary for this, and in some individuals, they lack the ability to produce the active form of vitamin B-6 (pyridoxal-5-phosphate), in which case, pyridoxal-5-phosphate can be supplemented instead to lower homocysteine. So vitamins and supplements that decrease homocysteine to help preserve cardiovascular health include: TMG (500 mg a day), folate (800 mcg a day), vitamin B12 (200 mcg a day), inositol (250 mg a day), zinc (30 mg a day), and vitamin B6 (100 mg a day). C-reactive protein: an inflammatory risk marker that increases under the influence of cytokines IL-6, IL-1B, and TNF-alpha. When elevated, heart attack risk increases by over two-fold .Studies have found that the statin rosuvastatin (Crestor) can decrease CRP levels and the inflammatory risk of heart attacks. Also helpful are aspirin, vitamin E, nettle leaf extract, DHEA, and fish oil. Obesity is a risk marker for heart attacks and cancer. Why is this? 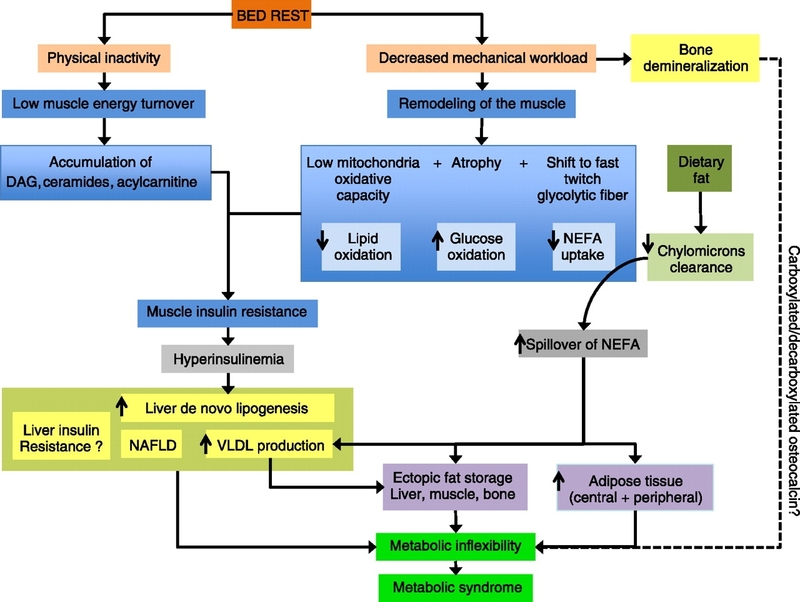 Increased circulating insulin and insulin resistance causes increased fat conversion of glucose and increased fat deposition. The increased insulin causes certain cancer types to grow as well as it serves as a growth factor. Decreasing inflammatory markers such as fibrinogen, CRP, homocysteine, and cytokines. Exercise is important. Be certain to consult your doctor before starting any exercise regimen. Use and exercise every muscle, every day. Exercise increases blood flow and lymph drainage increases. It also builds strength and flexibility, as well as balance and decreased falling risk. You feel less depressed and have more energy. Coenzyme Q10: (Ubiquinone) is beneficial for heart and brain functioning, as well as being a blood pressure lowering supplement. Cells need it for energy production in the mitochondria and deficiency is found in aging and a variety of degenerative disorders. Muscles and the brain have high numbers of mitochondria which need this supplement. 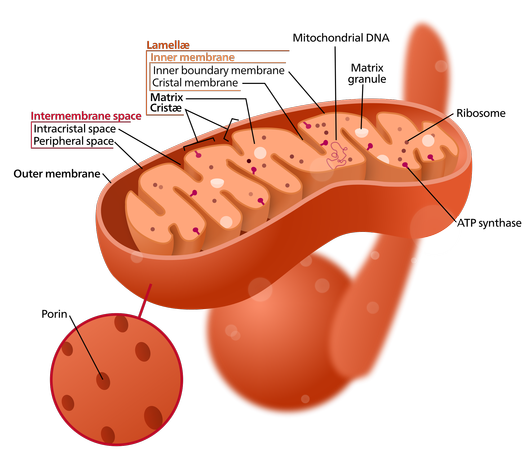 Taken orally, CoQ10 is absorbed and incorporated into the mitochondria. As one ages, the body produces only half of what it should of this vital supplement. 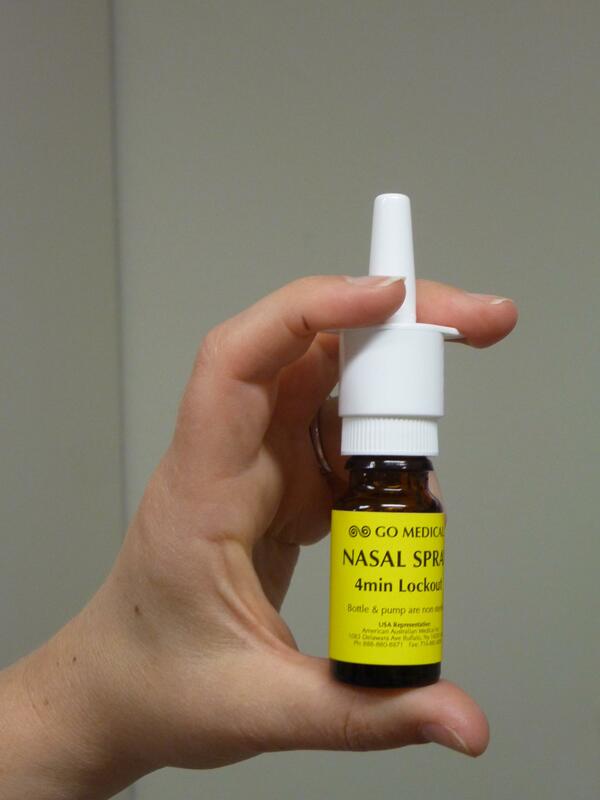 Dosing is 30-300 mg a day. Of note, statins (anti-cholesterol agent) destroy co Q 10, so it is very helpful to take co Q10 supplements while on any statin. There are studies demonstrating increased energy production in the brain and muscles with Co Q10 supplementation, and it has been noted that there is an antioxidant protective ability as well provided by coQ10. 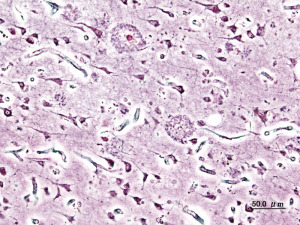 In fact, there is speculation that Parkinson’s disease may result, in part, by reductions of co Q 10 levels in the brain (35% less than normal controls) and that with supplementation, some patients with Parkinson’s disease have had diminished progression of the disorder. 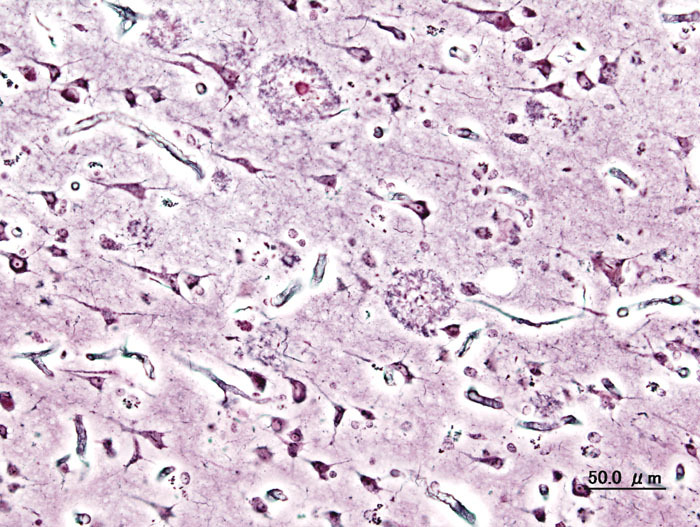 As we age, Parkinson’s disease becomes more common, and it may be due to mitochondrial dysfunction and oxygen free radical production due to co-Q10 deficiency which results in the loss of neurons, thereby producing Parkinson’s disease. There is suggestion that dosages of coQ10 up to 1200 mg a day (which has minimal side-effects) seems to diminish the progression of Parkinson’s disease in some patients. This may be a result of the preservation of mitochondrial function. Insane Medicine -Aging and mitochondria – aging as a result of mitochondrial and nuclear gene miscommunication. Low levels of NAD in the cell cause HIF -1 to increase, which results in the nucleus and mitochondria to not communicate. 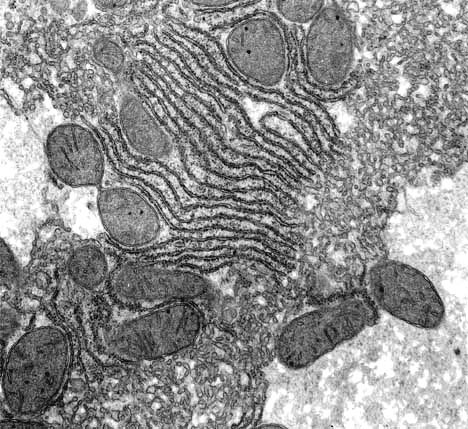 The mitochondrion is a cellular organelle that provides the cell with the energy needed to sustain life. It has it’s own genetic material that produces, in part with the nucleus, an oxidative-phosphorylation complex in the cell that produces all our energy. Basically, the mitochondria is a piece of machinery that acts like a battery for the cell. As we age, it has been found that the genes in the mitochondrion mutate and function poorly. This may be the root cause of aging. NAD+ is a molecule used as an energy carrier that regulates the mitochondria, as it decreases in low oxygen states and results in a disruption of the oxidative phosphorylation complex. Increasing the NAD+ levels reverses this rocess. In a functioning normal cell, the nucleus and the mitochondiron communicate with each other and manufacture, using their genes, the oxidative phosphorylation complex, which is the producer of the energy inside the mitochondria. It is the failure of the genes inside the mitochondria that result in the aging process. A gene, called sirtuin 1 is involved in maintaining a clear line of communication between the nucleus and the mitochondrion. HIF-1 is a protein that the cell produces in cancer states and low oxygen states that interferes with this communication process, causing cell aging and death. 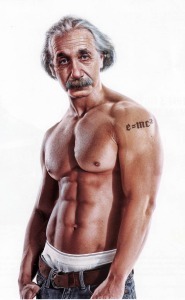 Aging muscles have been found to have decreased levels of mitochondrial genes. 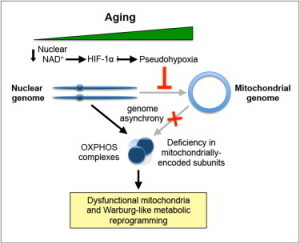 Nuclear levels of NAD+ maintain the mitochondiral homeostasis, with decreased levels disrupting the oxidative-phosphorylation machinery in the cell and thus result in cell aging and death. Raising this NAD+ nuclear level in mice reverses this aging process. Molecules have been developed that can do this. There is a separate system, the PGC-1α/β system, that also regulates energy metabolism in cells and acts as a transcriptional coactivator to regulate gene activity and function. It works separately from the above. PGC-1α regulates mitochondrial biogenesis and interaxcts with nuclear PPAR-gamma, which results in the interaction of numerous transcription proteins that affect cell function. This directly links the external stimuli of the world to the internal cell functioning of mitochondria. For example, PGC-1α may be involved in cholesterol regulation, obesity, and blood pressure. PGC-1α may integrate a number of internal cell signals with external signals. For example, endurance exercise increases PGC-1α levels and allows for lactate to be used more efficiently. 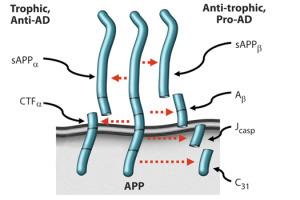 SIRT-1 may bind and activate PGC-1α.. PGC-1α activates Akt levels in muscle, which is pro-survival in function. 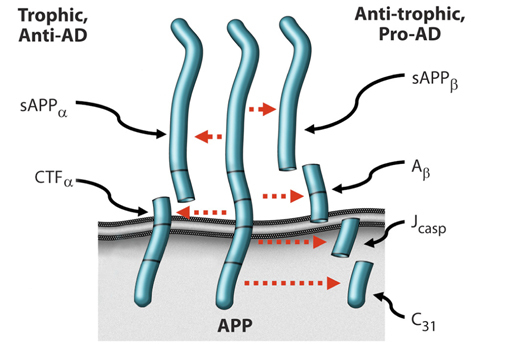 Massage therapy can increase PGC-1α, allowing formation of new mitochondria. Mitochondria are the work horse of the cell,producing it’s energy, but also they may be the root cause of aging. Calorie restriction has been a way to extend lifespan in animals such as rats. The process of calorie restriction causes the aging machinery to slow down. Trans-resveratrol simulates calorie restriction without actually eating less. This may be a way to trick the body into a “fasting, yet anti-aging” state. Calcium and iron build up in the body may play a role in aging process. As we age, we accumulate more iron, so iron supplements may be unhelpful in some people. Women, however, don’t accumulate as much calcium and iron until after menopause, when the accumulation throughout the body starts to progress more rapidly. As far as calcium accumulation, we refer to the deposits of calcium in the arteries. Removing iron and excess calcium from the body may be an approach to aging. How do you know if there is too much iron or calcium in the body? Elevated ferritin levels can indicate iron overload or inflammatory states. Also a CT scan of the coronary arteries that show an elevated calcium score to suggest calcium excess. As an adult, intake of red meat and dairy products can cause iron and calcium overload.These substances are overly aborbed if you eat acidic foods, such as tomatoes, vinegar, and fruit juices. The acidity increases iron absorption. High fructose intake and non-wine alcohol increases iron absorption as well. Bran from whole wheat decreases iron absorption as does tea. Thus they may exert an anti-aging effect. Trans-resveratrol may activate the sirtuin-1 gene – which helps maintain cellular functioning and prevent aging. Calorie restriction to 50% of normal may prevent the breakdown of products of sirtuin gene from occurring. 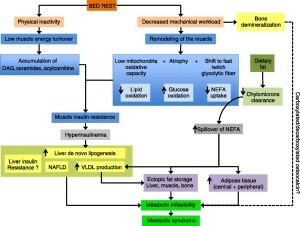 Intake of resveratrol is a chemical mimic of such caloric restriction. About 180 mg a day simulates a 35% fat intake diet typical of humans and would be effective potentially. Red wine has many polyphenols that may decrease your aging: ferulic acid, gallic acid, catechin, quercetin, and kaempferol. 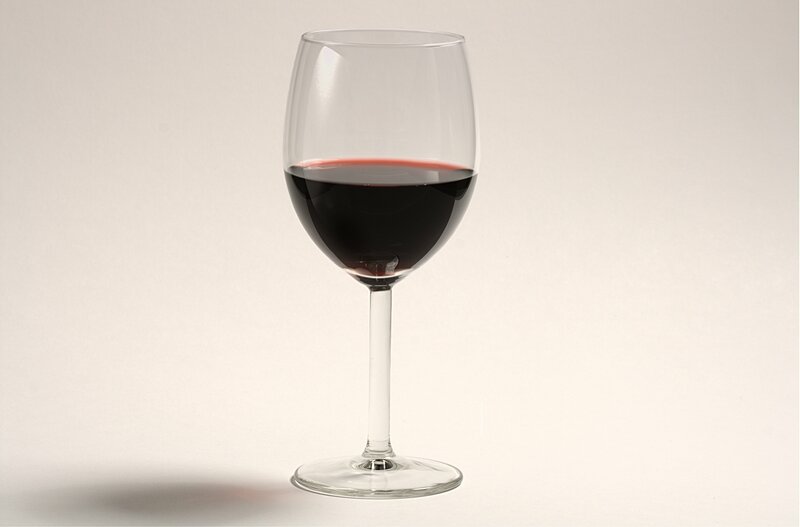 However, you would need several glasses a day to get the amount of resveratrol needed to be effective. Studies in humans show that when started at middle age, resveratrol slowed age-related deterioration and functional decline of mice on a standard diet. Rapamycin has been found to extend median and maximum lifespan of mice, even when fed to the animals beginning at early-old age. Rapamycin is a medication used to suppress the immune system in transplant patients. However, rapamycin has many toxic side -effects, so it is unlikely to be used in humans for age-related treatment. http://www.nia.nih.gov/health/publication/can-we-prevent-aging – National institute on aging and its reccomendations. Insane medicine – Telomere length in your chromosomes and your aging are related: diet affects this! Insane Medicine – Telomeres and aging. 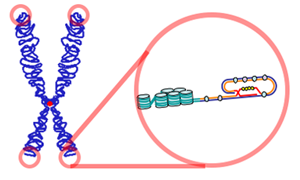 Telomeres and their proteins protect chromosomes from degradation and recombination. Telomeres, the ending portion of the chromosome that protect against degradation, have been found to be shortened in humans with poor aging. Premature shortening of telomeres results from oxidative stress in the body and inflammation. This causes premature aging and early death. So, the longer your telomeres are, the healthier you are overall. However, inflammation triggers T-cell activity that results in telomere shortening. 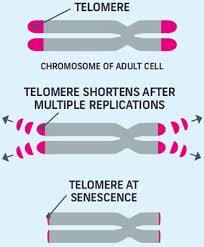 There is an association in humans between shorter telomeres and age-related illness such as cancer and heart disease. Chronic stress and depression can lead to shorter telomeres. Higher omega-3 polyunsaturated fat levels (EPA and DHA) in the blood is associated with decreased inflammation. The bests test to predict effective diet against telomere attrition ( and hence poor aging) is the n-6:n-3 Polyunsaturated fat (PUFA) ratio. The bottom line is to decrease n-6 PUFAS and increase your intake of n-3 PUFA’s (such as fish) to allow your chromosomes telomeres to lengthen. Also of note , intake of multivitamins may be associated with longer telomeres as well, especially vitamin C and E intake. This may result in healthy aging.